Saturday, September 16, 1837.Springfield, IL. 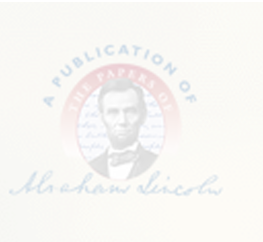 Lincoln writes and files a praecipe on behalf of his client Peyton L. Harrison in Harrison v. Simmons, an assumpsit case before the Sangamon County Circuit Court. Lincoln signs the document "Stuart & Lincoln for plff. "Photocopy.